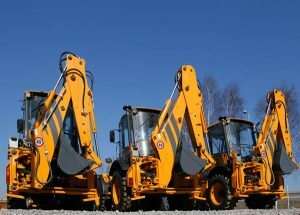 The UK plant hire market is estimated to be worth some £3 billion and is forecast for growth to 2022. It is, therefore, not surprising that there are plenty of people looking to join the industry as a way of moving their career forward. With hundreds of plant and tool hire companies based across the breadth of the country, how do you go about choosing the right one to work for? Of course, location will play a big role in your decision. It’s no use applying to a plant hire role hundreds of miles away if you have no intention of moving base. However, you might need to give some thought to the type of industries each plant and tool hire company predominantly works with. Product sectors tend to vary from region to region. For example, South East tool hire companies work with the housebuilding sector more than those in the North. If you have a passion or knowledge of a given sector, more thought should be given in to the demands of your chosen region. If you are a career driven individual, you should prioritise finding a tool and plant hire employer that allows you to progress in the field. Find out what training is provided by the employer and what room there is for promotions. Does the employer have a history of recruiting within the company to fill senior positions or does it look outside? This will give you a good indication of whether the company is a good option for progressing your career. Like most other industries, there is a mixture of medium-sized, start-ups and national plant and tool hire companies. There is no set answer for which is best; we each have our own preference on the size of the company we want to work for. Generally speaking, larger firms will offer higher salaries but you will be a small part of the business. At the opposite end of the scale, the higher amount of involvement in a smaller company allows for better job fulfilment but there can be concerns about the viability in the long-term. A company’s reputation with clients can tell you a lot about the type of company they are. What’s the general consensus amongst clients? Is the company praised for the work it does or is there plenty of angry customers? You might also want to look at the company’s staff retention. How often do they post jobs? If their staff turnover is high, alarm bells should start ringing that it might not be the best place to foster a long term career.